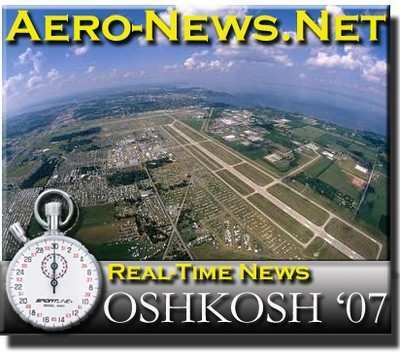 The future of General Aviation may very well be at Oshkosh next year... and if Sandy Munro and his company -- Munro & Associates -- has anything to say about it, they'll point to their concept of a ducted-fan aircraft powered by an automotive engine. The prototype, called Paradigm, is on display at Oshkosh this year, and running two shows a day. Munro's concept is based around the idea that a car engine requires much less maintenance than an aero engine. "The way we see it a car engine is good for about 150,000 miles. We figure this engine is doing the equivalent of 35 miles per hour, so the engine should last about 3,000 hours. But the engine only costs $5,000 out of the crate. That's cheaper and easier than rebuilding an engine," Munro said. 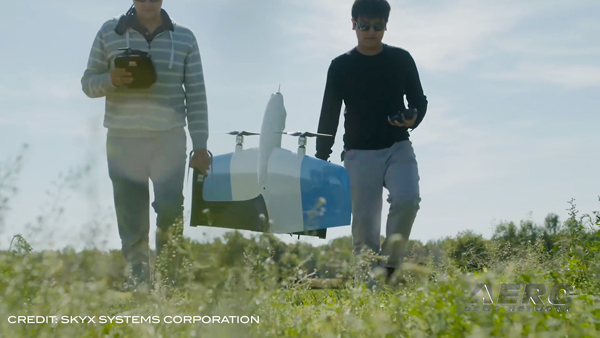 The basic concept behind Paradigm is to create an aircraft that is user- and eco-friendly, quiet and safe. 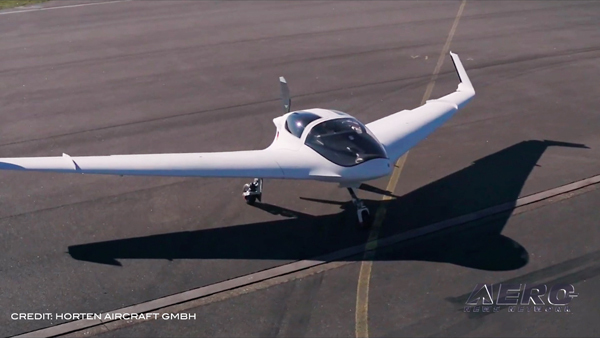 Using the automotive engine will not only cut down on noise, but will also allow the aircraft to either run on unleaded gas or ethanol, depending on the engine they use in the production model. Paradigm will fly with Highway in the Sky and automatic plane technologies. A new artificial horizon system has also been developed by Munro which uses a laser to project a red line across the instrument panel. "This could also be used to print warning messages to the pilot," Munro said. "This is the sort of stuff that Kennedy needed." Munro says the ducted-fan pusher configuration of the engine will increase safety of Paradigm as a family aircraft. His concern was mothers would not want children near a standard tractor propeller. The ducted fan also will assist in reducing noise. While Munro has met with the FAA as recently as March and later last year in November, he will have to meet with them again as GM, who supplied the V-6 Corvette engine being used at Oshkosh, has backed out of the program for unspecified reasons. As a result, Munro has been pursuing Japanese car manufacturers. He has confidence in their support. "The Japanese see their business differently. They say they are in the 'Transportation' industry, and not just the car industry," Munro said. Munro is trying to learn as much as possible from the engines they have. 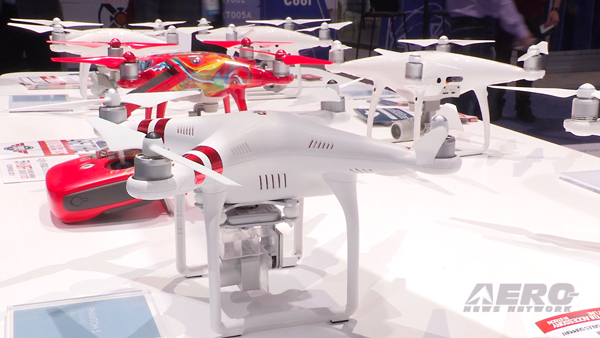 "Last year we tore apart about forty or fifty car engines to find new features," Munro said. He believes the engine will need to run at approximately 3500rpm producing 900lbs of thrust to fly. 4000rpm would be the optimal full-power for the engine, providing 1200lbs of thrust. 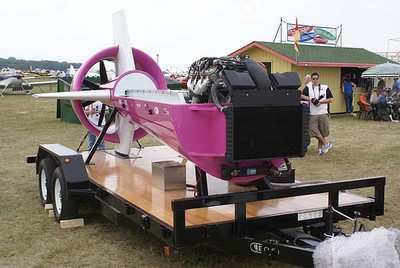 The engine on display at Oshkosh idles at 650rpm, and for the display he bumps it up to 1200rpm to demonstrate the amount of sound the fan produces. He has the radiator fan shut off for the demonstration as it doubles the noise level. As it is, he can speak clearly over the sound of the fan and be heard from 10 yards away. Inspiration for the design came from the Republic Sea-Bee. It is the simplistic construction of tubular aluminum and spot-welding of the Sea-Bee that Munro wants to copy for Paradigm. These were the same design features which led to the FAA halting production of the Sea-Bee. According to Munro, when his team took apart a SeaBee they found no structural problems in sealed parts of the aircraft. When they spoke to SeaBee pilots, they found the only issue with the aircraft was structural fatigue below the engine. "When we told them most of the airframe was spot-welded, they were surprised. They had no idea," Munro said. The issue Munro faces in the near future is finding a financial backer for the airframe. "I don't just want money from anyone. I want someone who wants to make a change, someone who wants to leave a legacy," Munro said. He believes once Paradigm enters production, his company will be able to sell in the range of 60,000 aircraft.